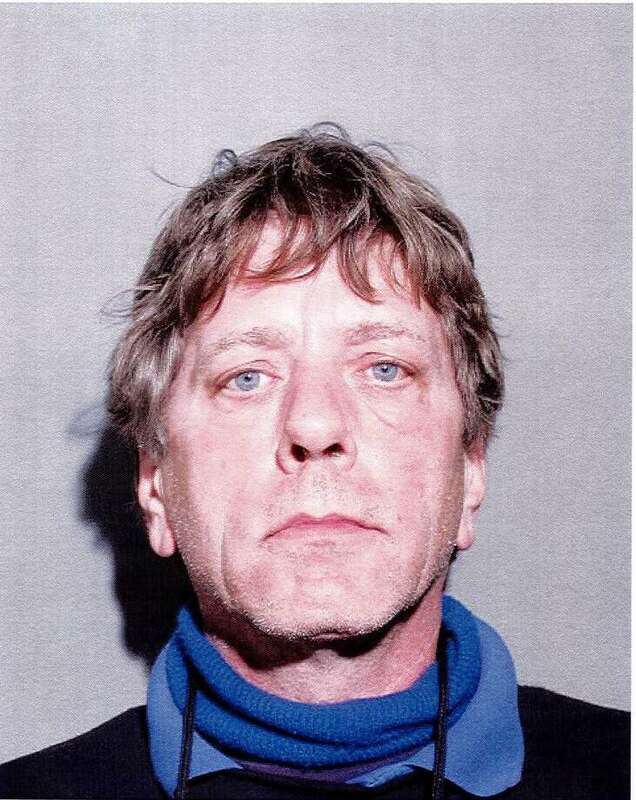 Mark Lynch, 57, of New Canaan, turned himself to police on Nov. 21, on manslaughter charges. Lynch is accused of providing the heroin that led to his son's fatal overdose. NEW CANAAN — Twenty five-year-old Chris Lynch was making progress recovering from his drug addiction. A New Canaan native, Lynch was introduced to heroin by his father years ago. For the past nine months, he had been living in Colorado with his mother and girlfriend of several years, who helped him stay clean. He had their support, along with his stepfather’s, and rarely missed a therapy session or meeting. He is described in documents obtained from Norwalk Superior Court as happy and ready for a new life. On Sept. 25, Chris’ life was cut short when his father, a known heroin user, allegedly gave Chris the heroin that caused his fatal overdose. Now 57-year-old Mark Lynch of New Canaan is being charged with manslaughter after a police investigation revealed how his own addiction and actions allegedly led to his son’s death. In September, Chris and his girlfriend traveled back to Connecticut for a court appearance on Chris’ behalf. Chris’ girlfriend told police she was nervous for the trip, as Chris had run into trouble in New Canaan before. Chris’ father, Mark Lynch, lived there and was known to still use heroin, court documents explain. Chris’ counselor told New Canaan police Chris had a tumultuous relationship with his father. According to a police affidavit, Chris told his counselor he was afraid to see his father, because he had drugs in his house. In spring, Chris canceled a visit to New Canaan for Father’s Day after his father told him the visit would be “like old times,” referring to the pair using heroin together. Chris said he didn’t want to be in that environment. When Chris and his girlfriend arrived in the area, they stayed with her father in upstate New York. Chris and his father later decided to spend time together, as they had not seen each other in over a year. Mark Lynch drove to upstate New York on Sept. 24 to bring Chris and his girlfriend back to New Canaan. When he arrived, Chris and his father went to his car for 20 minutes while his girlfriend packed. The three then left to return to New Canaan. 20 minutes into the ride, Chris’ girlfriend noticed Chris’ head drooping and he seemed “out of it.” She knew right away Chris relapsed with his father and “became very upset with the realization that months and months of progress and hard work were potentially ruined,” according to the documents. When Chris and his girlfriend arrived in New Canaan, they had an argument about his drug use. His girlfriend demanded to know what he took. Chris said he took a Xanax he had from Colorado a week earlier. His girlfriend knew he could not hold onto a pill for that long without taking it and his behavior wouldn’t be the result of taking only one pill. She took a walk to calm down. When she returned an hour later, Chris would not speak any further about the issue and went to bed around 8 p.m. Chris’ girlfriend watched TV and at one point heard Chris snoring heavily. She asked Chris’ father if he would be all right, to which he said Chris would be fine in the morning. On Sept. 25 at 7:22 a.m., police and the New Canaan Volunteer Ambulance Corp were dispatched to Lynch’s Parade Hill Road residence on a report of an unresponsive man. There, police found the girlfriend crying on the living room floor. Officers then located Chris Lynch, unresponsive in the back bedroom. Lynch was not breathing and there was white, frothy vomit on the pillow under his head near his mouth. Medics unsuccessfully attempted to revive him and pronounced him dead on scene at 7:27 a.m. According to the arrest warrant application, during the revival attempts, the victim’s girlfriend yelled “Do something! Why aren’t you doing anything? Give him Narcan!” She would not elaborate further as to why Lynch would need Narcan, but made several more references to using the substance to revive him. Investigators arrived to determine cause of death. Mark Lynch told police his son took Xanax. He said he heard gurgling sounds coming from Chris as he was sleeping and said his breathing sounded irregular, so he checked on him throughout the night. Lynch went to bed around 4 a.m. He said he found his son unresponsive when he woke up the next morning and called police. When asked about his son’s medical history, Lynch said he knew his son had been battling a drug addiction for several years and had narcotics-related incidents on his record. During the investigation, a “distraught” Lynch voluntarily turned over a green rubber coin purse from the top drawer of the nightstand next to the bed. In the coin purse, police found a black straw and four folds of a white powder which police believed to be heroin. Lynch told police the substance was heroin and it was “all” his. Lynch said he “allowed” his son to use some on the night of Sept. 24. After an initial denial, Lynch consented to a search of his bedroom where Chris was found. Suboxone, a medication used to treat opioid dependence, was found in a bureau drawer in the room. Lynch then handed over his son’s cell phone, which was taken as evidence. Lynch then tried to tell police the heroin was his son’s, despite his previous statement and the fact he knew where the drugs were located. Around 10:45 a.m., an informant called police, saying he knew the victim and his family and could “almost guarantee” the elder Lynch supplied his son with the heroin that caused his overdose, according to a court affidavit. The informant said the elder Lynch had been known to do heroin with his son and is a known user. On Sept. 28, police spoke with Chris’ mother who said Chris moved in with her in Colorado to begin “intensive” drug counseling and separate himself from his father. She said Mark Lynch is an addict, still actively using and was “out of control,” according to a police affidavit. Chris’ mother told police the elder Lynch knew his son was clean and should have stayed away from Chris, but instead “killed his...son by bringing him back into the world of heroin addiction.” Chris’ mother also told police she knew “without doubt” Chris’ father would have supplied the drugs since Chris was clean prior to his death. Police spoke to other family members, including Mark Lynch’s sister, who confirmed Chris’ past drug use, as well as Mark Lynch’s drug problems. On Oct. 6, police spoke with Chris’ supervising counselor who worked with Chris during his recovery. Chris’ counselor said Chris had been voluntarily coming to her clinic since last December. Not only did he rarely miss a meeting or a session, but he also presented himself for searches for drug use and never displayed any signs of relapse. Chris’ counselor said she was confident Chris was making progress, a sentiment echoed by others interviewed by police. Chris had also been attending meetings in Colorado up until he left for his court date. An investigation revealed Chris’ cause of death was acute heroin intoxication, as confirmed by the medical examiner’s report. The state forensic lab confirmed the substance Lynch turned over to police was heroin. Based on the investigation and evidence the heroin he gave to his son caused his death, police applied for an arrest warrant for Lynch. On Nov. 21, the warrant was reviewed by State Attorney Richard Colangelo and signed by Judge John F. Blawie of Stamford Superior Court. On Nov. 21 around 6:45 p.m., Lynch surrendered himself to police. He was charged with second-degree manslaughter, possession of narcotics and illegal distribution of hallucinogenic narcotics. Lynch was processed and posted a $150,000 bond. He is scheduled to appear in Norwalk Superior Court on Dec. 2. This is the first reported overdose death in town this year, based on records from the state medical examiner’s office.